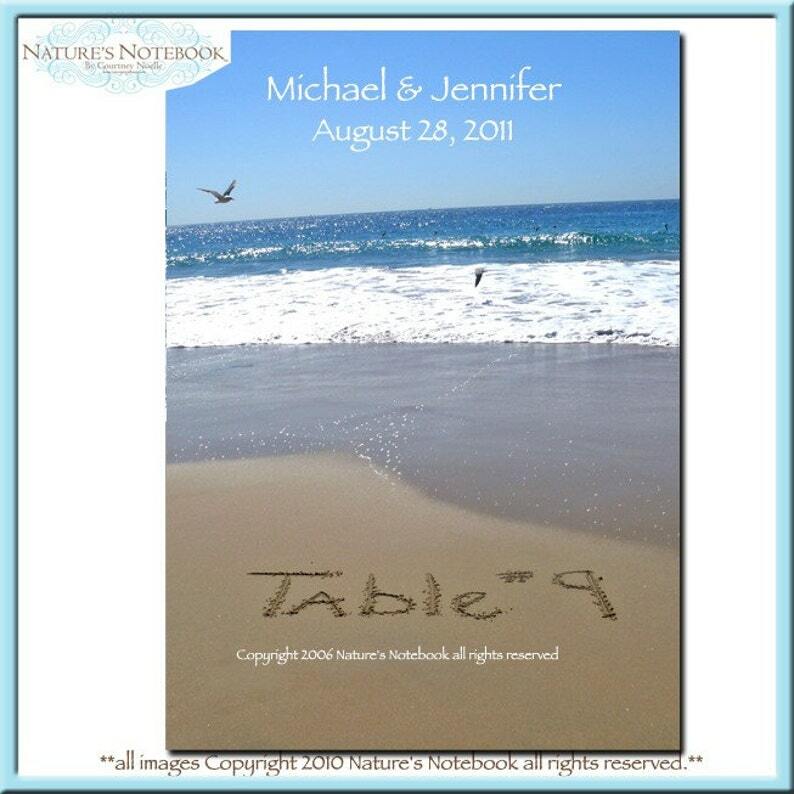 These personalized table number cards complement a beach wedding in personalized style! 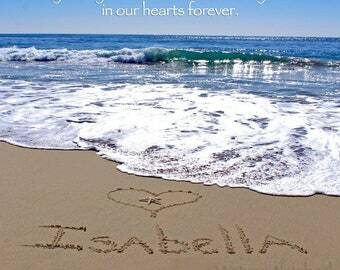 Written on the beaches of Huntington Beach. These table cards feature a gorgeous backdrop of the pounding surf, is perfect for beach themed; wedding, baby shower or just a beach bash! When ordering please let me know what computer generated text you would like added to your photo. Want a specific font? Not a problem, just let me know the font you want when you check out. Want a specific color of writing in the sky? Just put that in the comments section of check out. You will receive a proof before they go to print. Made in the USA, ships 2-3 days. Unique Anniversary Gift -Couples Name written in sand Framed with actual starfish that were in the picture. I love my wreath. Its exactly what I wanted for my kitchen door. Reminds me of the beach when I can't be there.